Before Orange County tourism became such an economic powerhouse, the area was best known for growing and distributing oranges. A new real estate development that incorporates buildings from that period – called the Anaheim Packing District – is set to open Summer 2012 in downtown Anaheim to celebrate the area’s agricultural history while simultaneously opening doors to a bright culinary future. Anchoring the development is the restoration of the historic Anaheim Citrus Packing House (which dates back to 1914) along with the nearby iconic Packard automobile showroom. While the packing house restoration will create a giant, upscale food hall (envisioned to eventually house up to 25 restaurants), the Packard building’s first tenant – Anaheim Brewery – is already in place and welcoming visitors to its 700sf tasting room. Anaheim Brewery has quite a history, itself, dating back to a prior incarnation in downtown Anaheim in the late 1800s. Until recently, the brewery was on a 90-year hiatus courtesy of Prohibition, and new owners Barbara and Greg Gerovac have approached its rebirth with an inspiring combination of passion and purpose. Having developed a love for fresh, local beer during their seven years living in Bavaria, the Gerovacs’ new endeavor seems THE perfect fit for “Anaheim” – a name bestowed by the area’s original German-immigrant farmers to describe their “home” (heim) by the Santa Ana River. The eponymous (not to mention wildly popular) Los Angeles gourmet burger bar Umami is slated to open its sixth location in the Anaheim Brewery complex this spring, and we predict this craft beer and savory food pairing will soon be revered as nothing short of Foodie Nirvana in Orange County. When the development is complete, the three-acre Anaheim Packing District site will include a public park situated between the two revitalized buildings in which OC residents and visitors alike will enjoy festivals, musical events, outdoor movie screenings and weekend produce markets. In the video below, it certainly looks like the Anaheim Packing District will be an awesome addition to Orange County’s already robust entertainment repertoire, and we’ll be sure to check it out the next time we’re in the neighborhood. We hear you’ll be able to see Disneyland’s nightly fireworks show from the outdoor gardens! If you’re in downtown Anaheim visiting the Anaheim Packing District, be sure to check out The MUZEO. Opened in 2007, it’s the newest addition in this fabulous list of Orange County museums and, housed in what was once the Carnegie Library (built in 1908), it’s yet another past-meets-present feather in Anaheim’s hat. Click here to view more Orange County Travel blog posts or click here to select an article from our Orange County vacation guide. 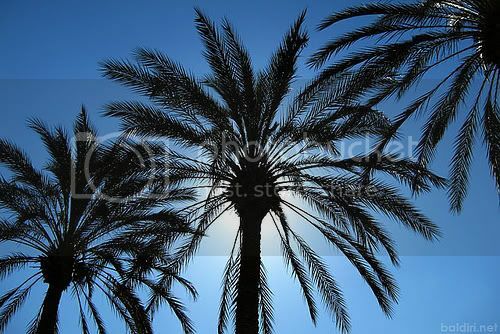 Photo of Anaheim Palm Trees by baldiri via flickr (Creative Commons).